Napa wineries located directly off of Napa’s bustling main artery Highway 29 sometimes get a bad rap – although maybe not for the reason you’d expect. You see the issue typically isn’t the quality of the wine, as some of the most respected wineries in the valley enjoy the level of visibility and prestige afforded by such a location. But the crowds and overall guest experience can be quite a different story. Let’s just say that tour buses and bachelorette parties are not an uncommon sight, and sadly, I wouldn’t be surprised if you found yourself wrangling with some Napa snobbery here and there. My suggestion? Make your way to one of Highway 29’s most underrated gems: Turnbull Winery, where the only wrangling you’ll have to do will be with yourself when you’re forced to figure out which wines you enjoyed the most! Turnbull stands out for several reasons. At a time when corporate ownership seems to be becoming the norm rather than the exception, Turnbull remains a boutique family-owned and operated winery which produces their wines from entirely estate-grown fruit, meaning they have absolute control over all of their vineyard sources. And they don’t just make the best wine possible and call it a day – they make the best wine possible and make every effort to ensure a tasting experience of the highest caliber during your visit; with friendly and knowledgeable wine educators guiding guests through distinct, thoughtfully executed tasting experiences in a smart, elegantly designed setting. If you’re wondering why you may not be familiar with Turnbull Winery, a bit of history is in order. Having originally been founded by prominent modern architect William Turnbull Jr. and partner Reverdy Johnson as somewhat of a hobby. Eventually they decided to part ways and the 14 acre Oakville property was then acquired by Patrick O’Dell, who has not only owned the property since, but has also quietly acquired an impressive 180 acres of prime vineyard throughout Napa Valley. These vineyards, with much of that acreage located in the coveted Oakville AVA, enabled Patrick O’Dell to realize his families dream of crafting world-class Cabernet in the Napa Valley. For years Turnbull quietly crafted high-quality wines, but they often flew under the radar or without the recognition they deserved because increasingly important marketing and sales channels were neglected. Like many boutique producers, the winery focused all of its efforts on producing quality wines, until recently that is. Leveraging her extensive marketing and product development experience working with such esteemed brands as Pottery Barn and Williams-Sonoma, Zoe envisioned an environment where visitors to Turnbull Winery would feel as comfortable and relaxed as if they were unwinding in their own living room. She and her team got to work right away, completely renovating the property to create several unique and tastefully designed spaces where guest can enjoy a multitude of tasting experiences, from a casual walk-in Gallery Tasting to the more intimate Private Estate Tasting Experience where your tasting will be led by a dedicated wine educator while seated in the living room or on the alfresco vineyard terrace. In addition to the interior spaces, labels and packaging also benefited from Zoe’s eye for design, receiving a major update as well. While Turnbull has always had a prime location and noteworthy wines, the recent transformation has finally brought all of the pieces together. While the winemaking team is busy crafting the best wines possible, you can also rest assured that the front of the house team is determined to make sure you have the most inviting experience possible. During my visit, I am treated to a taste of the Josephine Sauvignon Blanc ($44) as I tour the beautiful grounds and winery. Zoe explains to me that it has developed somewhat of a ‘cult’ following and I’m completely unsurprised – it is one of the best Sauvignon Blanc’s I’ve had from Napa. Boasting a near weightless texture, fine freshness and verve along with a stunningly delicate floral perfume and subtle minerality, this serious Sauvignon Blanc is fermented in terracotta amphora and receives four months of aging in seasoned oak and acacia barrels with weekly bâtonnage. 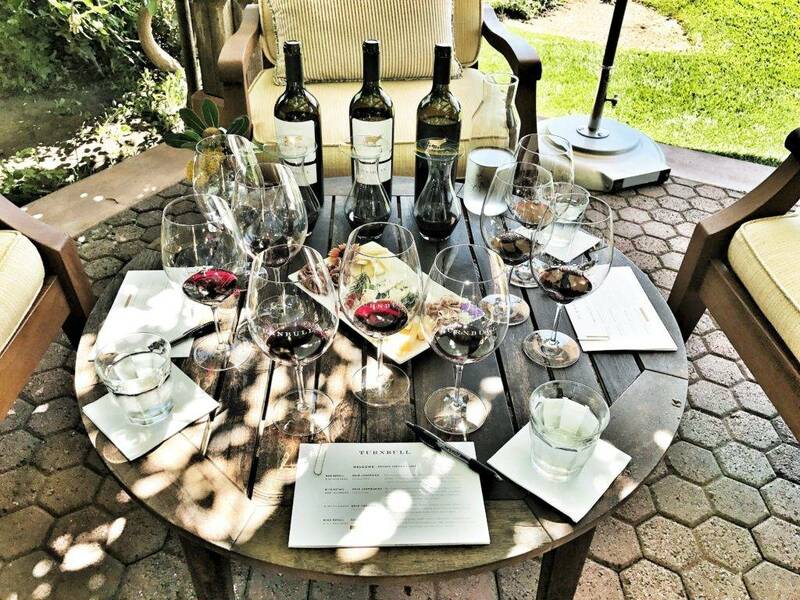 The Turnbull Private Estate Tasting Experience on their private vineyard terrace. We then proceed to a seated tasting where we taste three more wines, paired with a selection of cheeses and cured meats. The lineup is: 2014 Leopoldina Cabernet Franc ($110), 2013 Fortuna Cabernet Sauvignon ($180) and 2014 Black Label Cabernet Sauvignon ($150). These are Turnbull Winery’s finest efforts, and it absolutely shows throughout our tasting. While the Black Label will appeal to those in search of power, density and extract, the Leopoldina Cabernet Franc and Fortuna Cabernet Sauvignon are stunning for their expressiveness, structure and textural mastery. These world-class efforts offer finesse and complexity, and frankly I’m surprised I haven’t heard more about them until now. If you’re looking for a more affordable Cabernet – rest assured, as Turnbull indeed offers a $55 Napa Valley Cabernet and $85 Oakville Reserve Cabernet, competitively priced with other entry-level offerings in the area. Sadly, we did not have time to taste these during this visit but I hope to investigate soon! In the meantime, you can rest assured that a visit to Turnbull Winery affords the opportunity to taste a world-class portfolio of wines in a beautiful, relaxed setting. That the winery boasts an incredible location – tucked away right in the heart of Napa Valley, conveniently located just off of Highway 29, is icing on the cake. Looking for more great wineries to visit? Check out more of my favorites here! Appointment Required? No appointment is required for the Gallery Tasting Experience (10am-5pm) but please make an appointment for the Private Estate Tasting Experience here. Included in the Tasting: The Gallery Tasting includes a selection of current release wines at the Gallery bar which looks out over the Pairing Garden and Napa Valley. Guests are invited to explore the grounds at their own pace. The Private Estate Tasting includes a private, dedicated wine educator and a selection of Turnbull’s highest-rated, reserve wines during a private seated tasting in the living room or on the vineyard terrace, paired with cheeses and cured meats. Production: Approximately 14,000 cases per year. Should You Go? 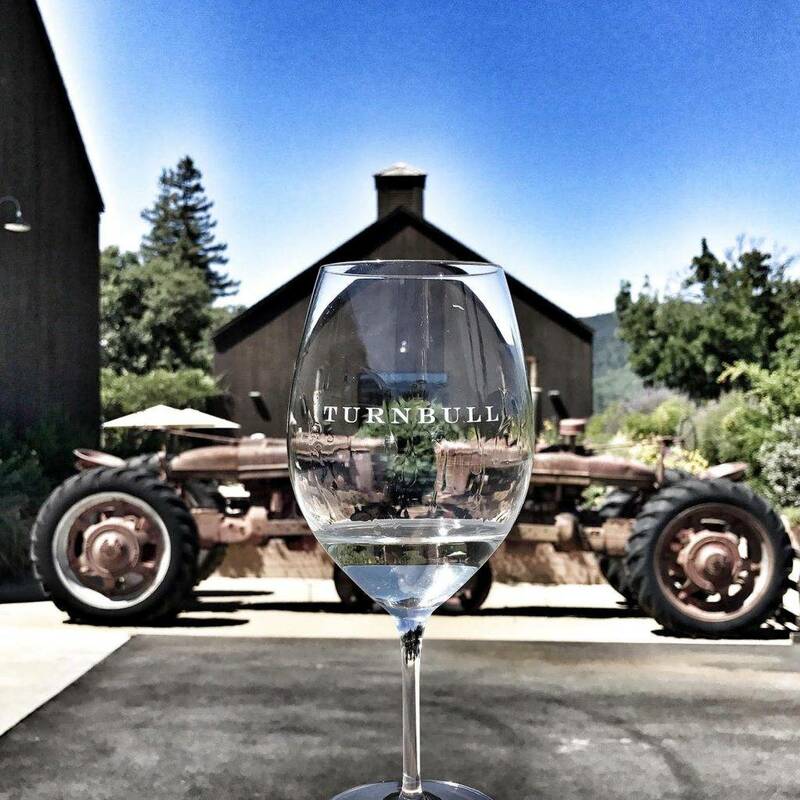 I highly recommend making time for a visit to Turnbull Winery during your visit to Napa. There you’ll have the opportunity to taste a world-class portfolio of wines in a relaxed, tastefully designed setting that makes you feel right at home. 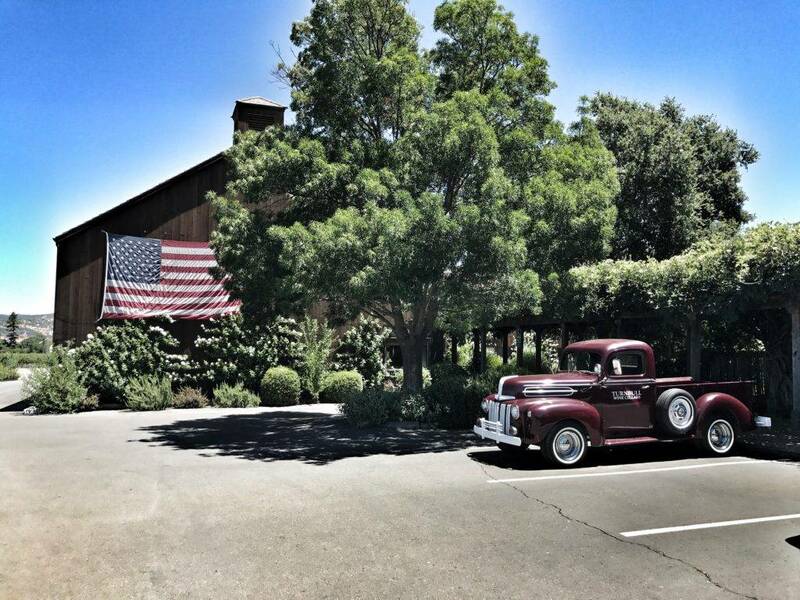 That the winery boasts an incredible location – tucked away right in the heart of Napa Valley, conveniently located just off of Highway 29, is icing on the cake. This entry was posted in California Wines - Reviewed, Winery Visits and tagged Turnbull Cabernet Sauvignon, Turnbull Fortuna Cabernet Sauvignon, Turnbull Josephine Sauvignon Blanc, Turnbull Napa, Turnbull Napa Valley Tour, Turnbull Wine, Turnbull Wine Cellars, Turnbull Wine Tasting on August 10, 2017 by The Fermented Fruit. Looks beautiful there Ryan. Love seeing a Cab Franc in the line up!!! It is a beautiful spot, and me too! Actually drank two different examples of Cabernet Franc with my father last night. Terrific blog post, Ryan! Terrific photos! The only Turnbull wine I’ve ever tried is the 2015 Turnbull Rosé. The wines you tasted at the winery are the cream-of-the-crop and sound like winners through and through. I’ll be sure to look out for those. In the meantime, I have one bottle of the 2010 Turnbull Black Label snoozing comfortably in a temperature controlled environment. I’m planning on opening that bottle in 2020. Cheers! Thanks so much, Peter! You’re in for a treat with your 2010 Black Label. Cheers my friend! I visited Turnbull in May and had an excellent experience. Knock-out wines, charming service and restrained elegance. I went with friends for a private tasting and they had no idea (until half way thru) that I’m a wine writer….even better that the reception is sincere. And the wines…really delish. Thanks for sharing! I’m glad to hear that you had such a great experience at Turnbull. 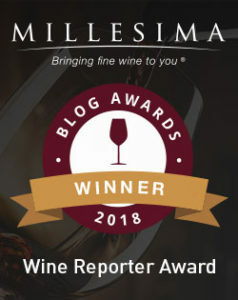 Whether I may be receiving preferential treatment visiting as a writer is always something on my mind, but as you experienced the Turnbull Winery team couldn’t have been more genuine and sincere. Combined with their stellar wines it really makes for a thoroughly enjoyable wine tasting experience. Thanks for reading and cheers Jill! I love Cab Franc! Great post and recommendation! Cheers Ryan!